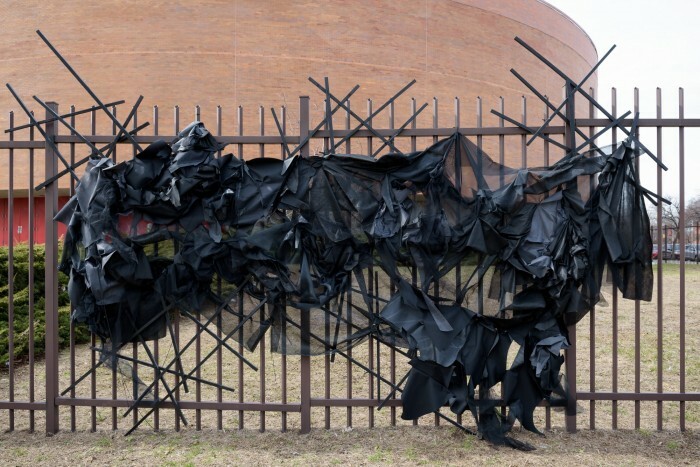 Elizabeth Velazquez is a mixed media artist and educator whose practice encompasses sculpture, large scale installation, works on paper, and performance. 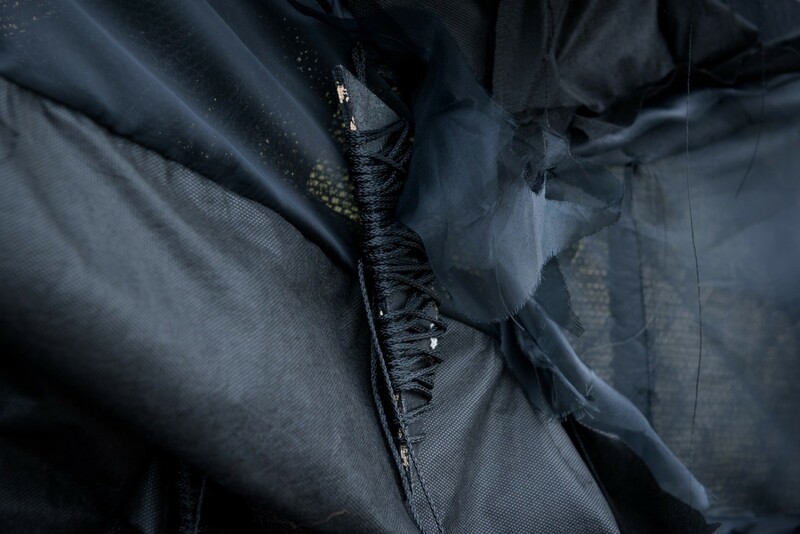 She has explored the color black for eight years, fascinated by its connection to the primordial, the sacred and the infinite. Interstice acts as memorialization to the indigenous populations who originally stewarded the land, the Europeans who settled, industrialized and developed the land, and the people interred there. This artwork is one of four large black “voids” temporarily installed around the York College Campus. The “voids” encourage commuters to stop and consider the relatively unknown colonial histories of Methodist Cemetery (founded in the mid-1800s) and St. Monica’s Cemetery (c.1856) — commercial properties purchased by York College in the 1970s. Velazquez’s interest in communicating with the spirit world originates from her strict Pentecostal upbringing by a first-generation immigrant Peruvian father and Puerto Rican mother. While she no longer subscribes to her childhood faith, she has retained the belief that we inhabit a profoundly rich spirit world.